September was a surmountable month of preparation. Time had to be deliberately productive to produce an exceptional piece. I am relieved it’s finished. 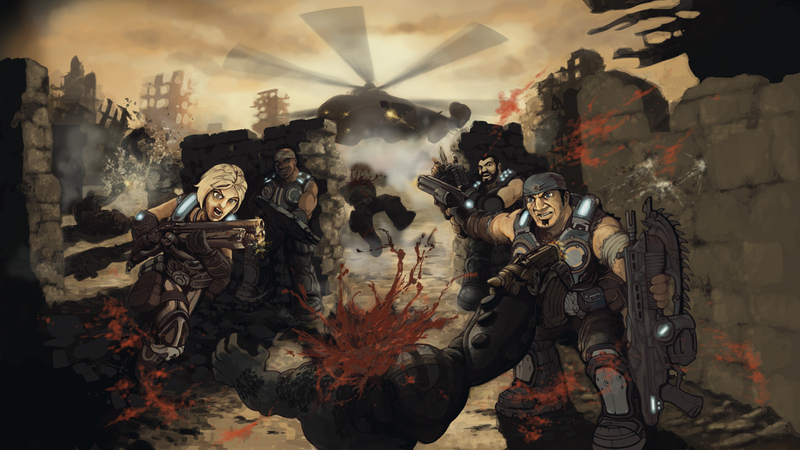 Deviantart.com is the host of a lucrative art contest by Xbox’s debut Gears of War 3. I decided to enter the contest and test my artistic ability. The reward was incredibly rewarding, first place winner will receive $10,000 and other prizes and 99 other entries would receive cash prizes too. It was not something I could pass up. I dusted my Wacom tablet and went to the drawing board. September was a surmountable month of preparation. Time had to be deliberately productive to produce an exceptional piece. I am relieved it’s finished, but my piece didn’t make the semi-finals. Do I feel like it was a waste of time? No, I differ in thought. I could spend incredible time persuading- why it isn’t legitimately judged, but what do I gain from it? Really, Your acceptance? I lost and that won’t change. 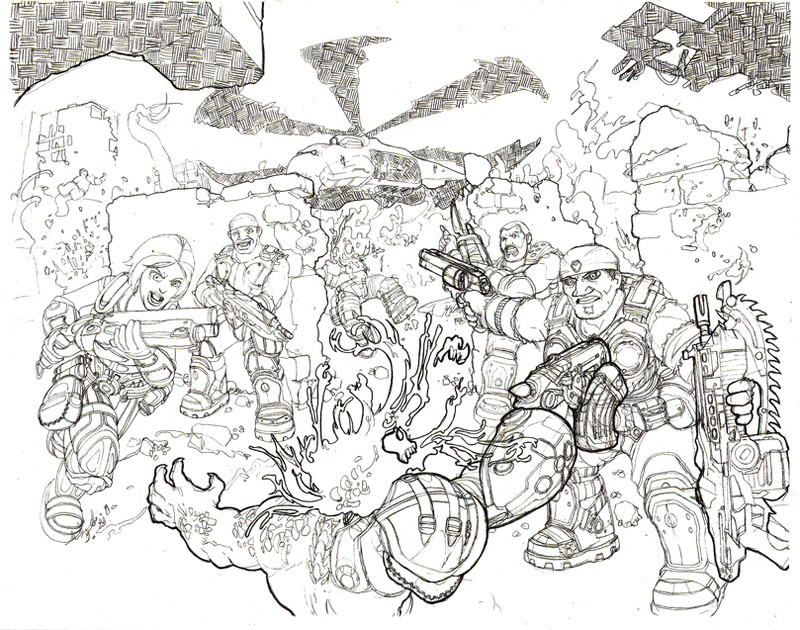 I felt this project was vital- like a power up, I’ve acquired technique and discovered something of my old works. I haven’t mentally enforced my artwork for some time, and I witnessed, valuated, and crushed that barrier that held me. This piece has lost, but it wasn’t a lost. My fire has been awoken. What you see was a limit of my capacity. That is all past now, I am willing to trample adamantly my next art endeavor. For your own assessment of the finalist, link here.